Vehicle Hire Franchises from 4×4 Vehicle Hire. Not that long ago it was assumed that anyone wanting to set up one of their own vehicle hire franchises had to have substantial credit (or cash), and an advertising budget to match. However this amazing vehicle hire franchise has found a niche within the market to create a “boutique” site vehicle hire franchise that specialities in the Land Rover brand. 4×4 Vehicle Hire was born in April 2007 in Aylesbury without any of the luxuries of advertising budget and only two Land Rovers available! Furthermore these vehicles were not brand new but by ensuring they were always immaculate the company was able to establish itself quickly. In an environment where the only competition was from multi national vehicle hire franchises selling all sorts of makes and models with roadside premises 4×4 Vehicle Hire’s unique friendly blueprint with nearly new Land Rover cars was an immediate hit! Operating Vehicle Hire franchises and getting them launched is very difficult due to the necessity of page 1 ranking on google. 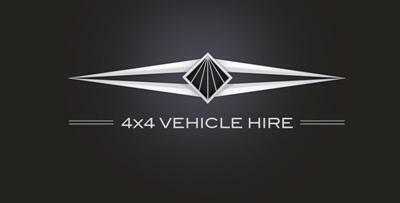 However the amazing success of 4×4 vehicle hire’s website www.4x4vehiclehire.co.uk which ranks highly on page 1 of google and sits alongside the global giants means new franchisees can hit the ground running. The large global hire firms can’t compete effectively due to the niche of 4×4 Vehicle Hire and the ability of each franchise to offer amazing hire rates based upon nearly new vehicles.